Republicans cast into turmoil as Donald Trump rides the populist surge ... the maverick billionaire businessman, has seen his following soar — despite calling Mexicans "rapists." The property mogul, reality television star and beauty pageant owner with the most flamboyant comb-over in public life may seem like a caricature and a political joke. But the Republican hierarchy is not laughing as he rides an anti-establishment populist tide, shooting from the hip with his overheated rhetoric. They are concerned not because they think he has a chance of securing the nomination but because they fear he could influence the election by scarring the party's reputation." The Telegraph seems to size-up Donald Trump's impact and style of campaigning. Interestingly it also highlights many of his astrological characteristics. 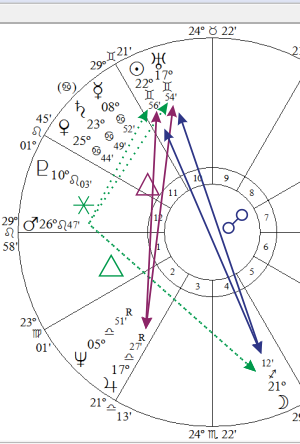 One of the more obvious visual impressions is that all planets, except the Moon, are on the East side of the chart. This suggests a person who seeks to powerfully impact their environment rather than be formed by it. He claims he will be a force to be reckoned with on the domestic and international political scene. Probably true. It's hard to say if this is a good thing or a bad thing for the American people. With Uranus in the first house—in Gemini, just like his—Americans are attracted to a rebel. In the US chart, Uranus trines the Moon. 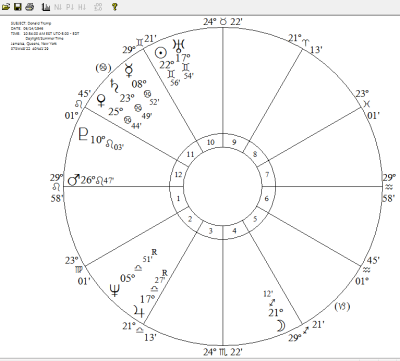 In Trump's chart the Moon opposes Uranus. With the opposition there is a natural tendency for Uranus to express its discordant nature, Eccentricity. He is likely always enthusiastic about reformation of some kind and with Uranus prominent is inclined to magnetic oratory he calls upon to sway people. Though Americans have an appetite for the unconventional and its attendant excitement, they may tire of the negative consequences and turmoil. 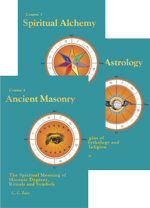 The two most powerful aspects in his chart are Sun opposition Moon and Sun parallel Moon. He thrives on notoriety. 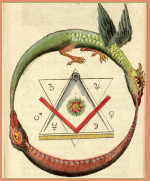 Even though the aspect is discordant, it works for him because his flamboyant personality (Mars conjunction Asc in Leo that sextiles and trines the legs of the opposition) is able to effectively deflect and shrug off incoming flack, turning criticism into a badge of honor! Astrodynes show a dominant Gemini Sun in 10th: Wants to be recognized as an authority. Likes to talk about how great he is doing in the polls. With Sun trine Jupiter in the 2nd he enjoys good fortune in business and the ability to amass a large personal fortune. Both planets are in air signs indicating that business is an intellectual process for him. Again, he likes to talk about and broadcast his prowess and success. He says he's a great negotiator and he's right—at least when it comes to his own material advantage. This is indicated by prominent Uranus in the 10th making the luck aspect with Jupiter in Libra in the 2nd. However, with Uranus, things have a way of taking unexpected turns on the wheel of fortune. 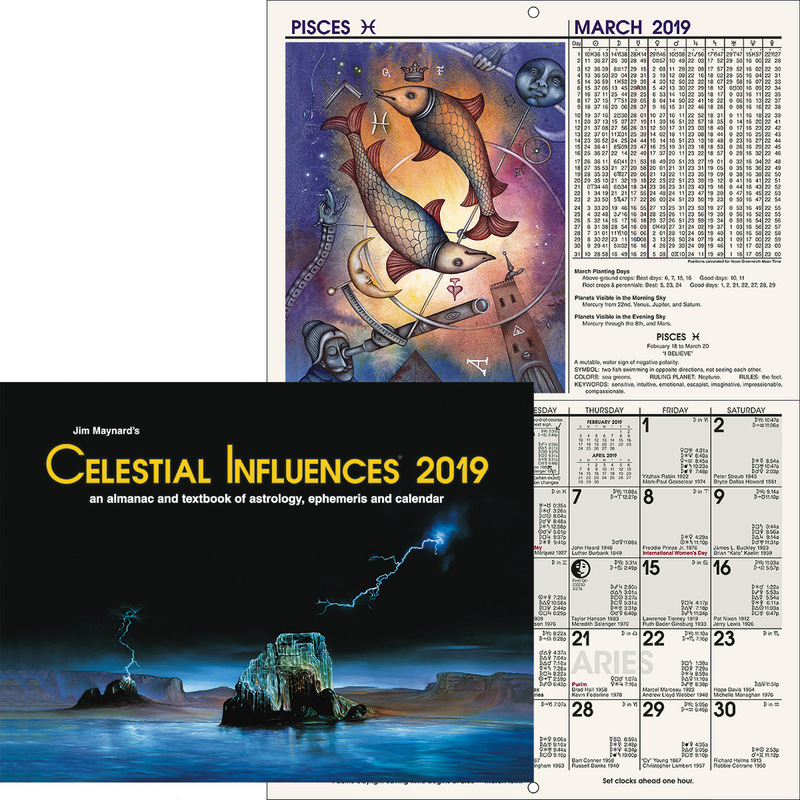 With Sun and Uranus in a very powerful opposition to Moon in fourth, he's probably encountered circumstances of great resistance in real estate deal-making. He says he's a ruthless negotiator. This is also probably true with Mars conciliating the opposition he's no stranger to strong-arm tactics. The question is, is negotiating with other countries the same as deal making in the business world? Maybe so? With Sun conjunct Uranus, Power Urges tend to express either through Originality or Eccentricity. Revolution, rebellion, and disruption are associated with Uranus. In the case of his campaign, the electorate to which he is appealing finds this a desirable character trait. His Power Urges oppose his Domestic Urges in the 4th house of real estate, creating a separation between his public/business world and his domestic life (women, home). 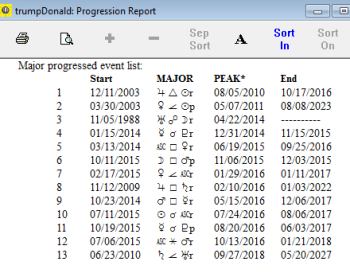 Interestingly, his bombastic, ostentatious Leo personality (Mars conj Leo Asc) reconciles the opposition, likely resulting in an amiable truce between the two opposing drives (good fortune from the trine and growth opportunities from the sextile): “Oh, it’s just Donald being Donald” or “The Donald.” With Mars in the 12th he can be his own worst enemy and get away with it! His personality is blustery, overbearing and rough (Mars conj Leo Asc). With the Moon opposition Sun he tends to be insensitive. The Uranus conjunction makes him abrupt and extreme. With Mars conjunct Leo rising, he certainly has a flamboyant, showman-like personality with his red hair and dramatic comb-over. 37% of his effort is dedicated to “wealth” or business concerns. To be so heavily vested in the business houses, only 10% of his energy results from practical, plodding, discreet Earth signs. He's a risk taker. He is mostly enthusiastic Fire (36%) and aspirational Air (35%). Hot air? 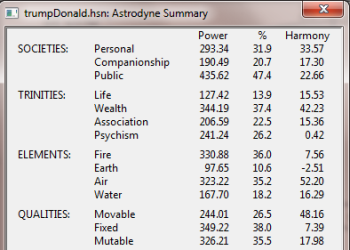 His signs are fairly well balanced between fixed, mutable 35% and movable (cardinal) 26% qualities with fixed highest at 38%. With this quality comes the ability to finish and perfect a project. If his poll numbers go down he’ll want to hang in, but, as he says, he’s no dummy. Uranus opposition Moon r, perfect	4/22/14. Although this aspect is waning, it is a long-term aspect with power to attract events. When combined with his dominant Gemini Sun conjunct Uranus in the tenth house, it tends toward the image of verbally shooting from the hip. With the Moon involvement, "The Donald" is no stranger to controversy and notoriety. Because it is a separation aspect and therefore discordant, the attention he receives tends to splinter public opinion and support. His "birther" comments are characteristic of this aspect. Also, his radical attitude and comments toward immigration, in particular Mexican immigrants, is an example of the extreme position one might take under such an aspect. Disruption and polarization are the consequences. The extreme nature tends toward a caricature image, easily lampooned. He announces his candidacy for US President 6/16/15. His selling point to the American people is that he is a winner with vast personal wealth. Claims his unique business acumen will benefit the American economy. Venus rules 10th (business and reputation) progressed into 2nd (personal wealth). It is Venus, and she rules the feminine in nature. It doesn't take long for him to manifest the negative aspect of this square by making derogatory comments about Megyn Kelly (FOX anchor) during the first Republican debate and later he steps back into hot water with comments about Carly Fiorina's face. Both comments stir an immediate backlash from women and other thoughtful people. That his Sun is progressed into the 12th house and close conjunction his Asc tends toward making his ego his worst enemy. He did not apologize. Affecting second, fourth, ninth, eleventh and twelfth houses, it's likely he is getting some pressure from friends (11th) and family (4th) to dial down his publicly expressed opinions (9th)—to stop being his own worst enemy (12th). He may also be feeling some financial pressure—progressed Mars in second. Although he has plenty of Fixed energy that tends toward sticking with a project, the fickle, impulsive and changeable nature of the planets involved, Uranus, Venus, Mars and Moon suggest a short-lived candidacy. 2016 and "The Donald's" Candidacy? A series of discordant aspects become perfect beginning in January 2016 with Venus semisquare Asc r (1/29/16), Jupiter square Saturn r, (2/10/16), Moon semisquare Sun p (4/12/16), Moon square Venus p (4/26/15) and Mars square Mercury r (5/5/16). These aspects suggest that if Trump is still in the race, he faces a rocky road filled with changeability, bombastic-blustery-divisive speech and questionable manners. The big question is, does he have it in him to tone down enough to be heard by more moderate people and not be "fired?" He clearly has talent! Birth data: AA Rodden Rating, collector Lois Rodden.